As she sits in a Kampala hotel holding a mobile phone that rings frequently, Sandra Ntebi tells IPS: “I’m really exhausted. I don’t know where to start. We have many cases pending.” Ntebi manages a hotline and is helping Uganda’s lesbian, gay, bisexual, transgender and intersex (LGBTI) community find alternative, safe accommodation after they have faced harassment. 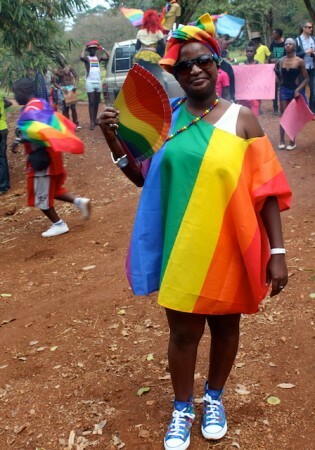 Uganda’s gays are bracing themselves for a spate of arrests and harassment as the country’s draconian anti-gay bill was signed into law by President Yoweri Museveni on Monday, Feb. 24. Uganda's president, Yoweri Museveni, has reportedly refused to sign a controversial anti-gay bill that would mean life in prison for people convicted of homosexual acts. The global fight against HIV/AIDS has seen recent hard-won breakthroughs, including the discovery of the genetic hiding place of the virus by doctors in Australia, a 50-percent drop in new infections across 25 low- and middle-income countries, and an increase of 63 percent in the number of people with access to HIV medication.